Like a quilt show everyday! 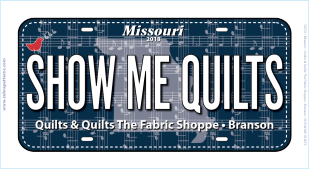 We did our most popular plate "Show Me Quilts" again! License plate as been updated with a navy background and includes 2018 printed on the plate. License Plates measure 7.25" x 3.5".